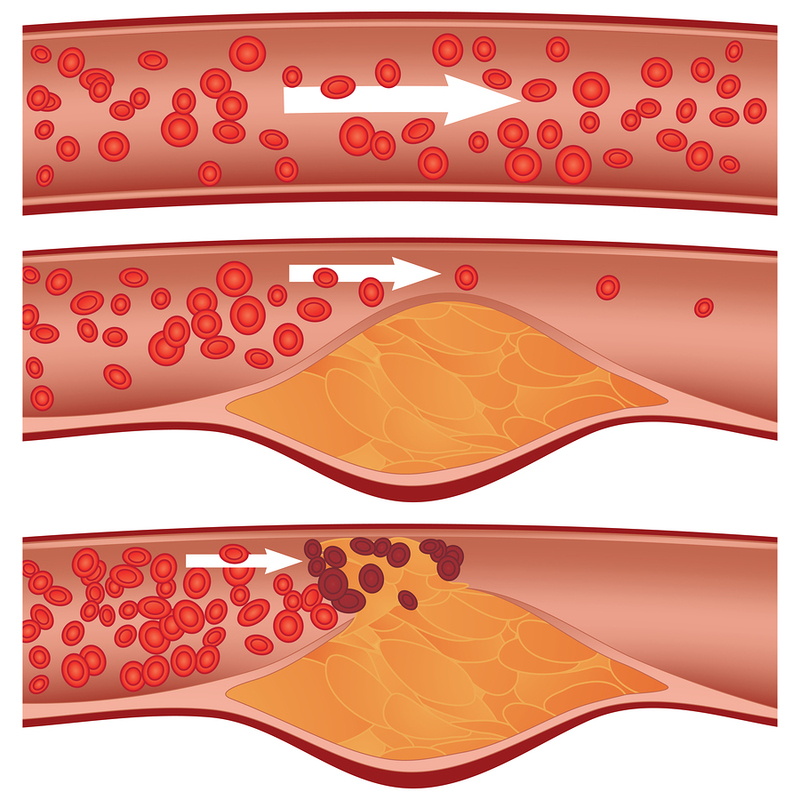 Arteriosclerosis is the missing link between strokes and heart attacks. The Framingham Heart Study and many other newer prospective studies have shown that the degree of hardening of the arteries throughout the body, called “arteriosclerosis” or “atherosclerosis”, determines the risk of whether or not we are developing strokes and heart attacks (Ref. 1, 5 and 6). The risk factors for heart attacks are identical to the risk factors for strokes and vice versa. Here is a recent fact sheet of the American Heart and Stroke Association (thanks to www.heart.org for this link) showing that strokes and heart attacks are the number one killer for men and women in the US. Gum disease and tooth decay that is left alone will cause hardening of the arteries, heart attacks and strokes. Strangely enough, brushing your teeth regularly and flossing will prevent heart disease and strokes. Strokes and heart attacks belong into the group of diseases where chronic inflammation is present in the body. It is not by chance that periodontitis and bad gum disease is associated with the development of heart attacks. Inflammation of gums can enter the body through the blood vessels and affect the lining of the arteries. This leads to atheromatous plaques and arteriosclerosis and finally coronary heart disease. The factors below that are known risk factors for heart disease are also linked to chronic inflammation. 2. 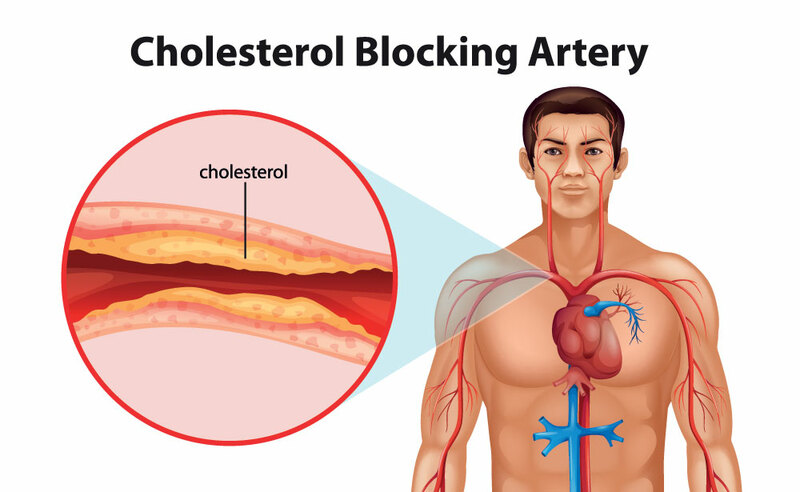 High LDL cholesterol (low density lipoprotein, also known as “bad cholesterol”) and low HDL cholesterol (high density lipoprotein, also known as “good cholesterol”). It appears that elevated cholesterol may be an indication that the body’s hormones are not in balance. We do know this from hypothyroidism where high cholesterol may be the first indication of low thyroid hormones. However, Dr. S. Dzugan, a retired cardiovascular surgeon and anti-aging physician has researched this topic in detail and found that with steroid hormones (estrogen, DHEA-S, testosterone and progesterone) there seems to be a stringent inverse relationship in that when steroid hormones are down (steroidopenia), cholesterol goes up. Inversely, when you restore the steroid hormones to a youthful balance, cholesterol problems disappear (high cholesterol levels normalize without statins, see Ref. 21)! 3. Hypertension, which is not controlled. 4. Lack of physical activity (sedentary life style). 5. 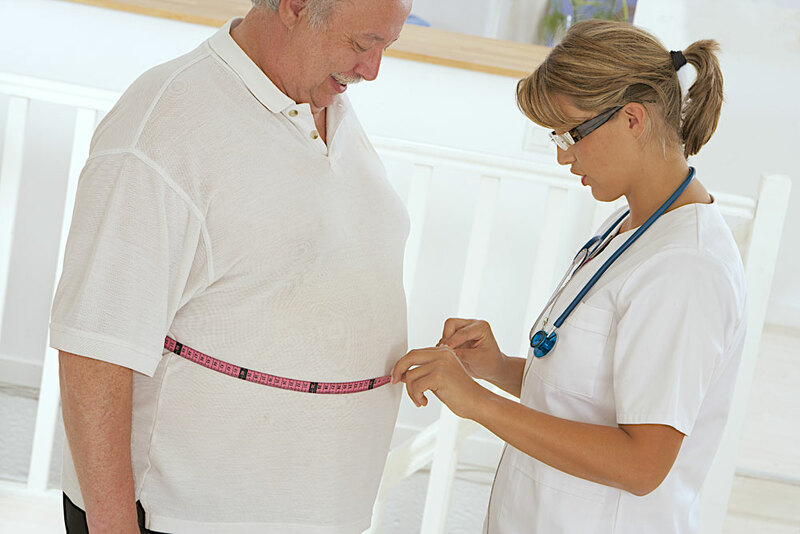 Excessive weight and the associated high triglyceride levels. 6. Diabetes mellitus when not closely controlled. Women outlive men by 10 years on average, likely because of the cholesterol lowering effects of the female hormones (estrogen effect) during their reproductive years. In males a lack of testosterone causes cardiovascular disease. 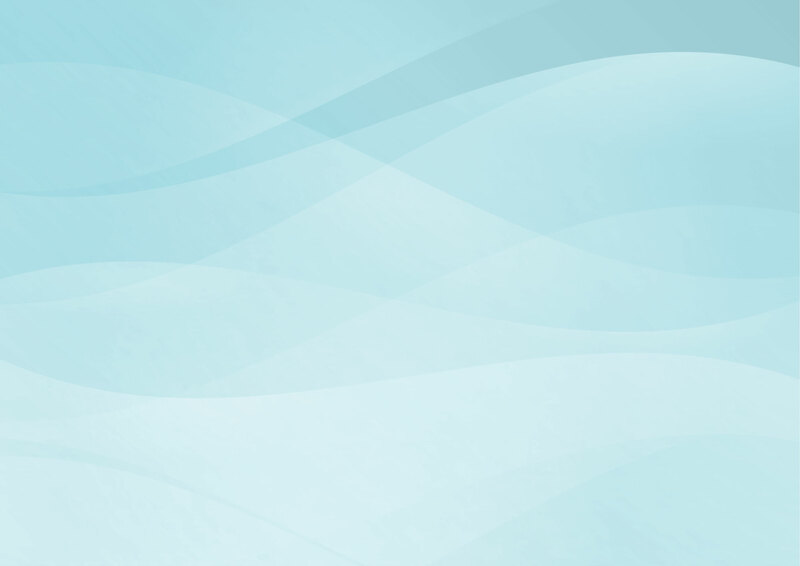 As is discussed below bio-identical hormone replacement in males and females can prolong life. Here is a review of the bio-identical hormone option (thanks to www.lef.org/magazine for this link). Another review discusses the pros and cons (thanks to www.raysahelian.com for this link) of bio-identical hormone replacement. 5500 physicians, naturopathic physicians and other health practitioners attended a conference of the A4M in Las Vegas (Ref.16) and there was consensus that bio-identical hormones, given judiciously will save lives. See also the Dr. Dzugan protocol under point 2 above where steroid hormones that are low are rebalanced and cholesterol normalizes(Ref. 21). 8. Unhealthy gums and tooth decay not taken care of will lead to an inflammatory condition that affects the lining of the arteries and causes heart attacks and strokes. The reason for this is that the lining of the arteries will stop producing the life prolonging nitric oxide (=NO). 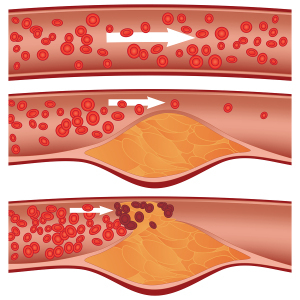 Certain hyperlipidemias and homocysteinuria are associated with heart attacks at a young age. They require a close follow-up by a cardiologist or internist with a special interest in these metabolic diseases. Calcium is required for the heart muscle to beat regularly and to have good heart muscle contractions. With chronically depleted calcium intake or poor calcium absorption (lack of vitamin D 3) there is bone loss, particularly in menopause. The body will compensate for this by secreting parathyroid hormones, which releases calcium from the bones causing osteoporosis to get worse. Low calcium blood levels have been found to increase the rate of blood vessel and tissue calcification by 170%, whereas diets with calcium supplements will reduce blood vessel and tissue calcification by 62% (Ref. 18). Magnesium (thanks to ods.od.nih.gov/factsheets for this link) is required to balance calcium. Magnesium is a natural calcium channel blocker and prolongs life (Ref. 19). Unfortunately magnesium deficiency is common among the American population. The key then is to take the same amount of magnesium as you take calcium to balance the two in addition to taking vitamin K 2, which will become apparent in a minute. Vitamin K 2 is an essential vitamin that protects against cardiovascular disease. With sufficient amounts of vitamin K 2 in your diet you will have a 57 % reduced risk of dying from a heart attack compared to those who are lacking it. When postmenopausal women take vitamin K 2 nonvertebral fractures from osteoporosis are reduced by 81 % (Ref. 18). There are two key proteins that are dependent on the presence of vitamin K 2: first the matrix Gla-protein located in blood vessels; secondly osteocalcin, a protein contained in bones. As the article from the link indicates, matrix Gla-protein will prevent calcification of the blood vessels when enough vitamin K 2 is present in the body. Osteocalcin on the other hand will help retain calcium in the bone and help maintain the integrity of the bone composition (Ref. 20). Both mechanisms of vitamin K 2 in the blood vessels and in the bone will prevent calcification of the aorta, other blood vessels, brain, heart valves and glands on the one hand and prevent loss of calcium from the bones on the other hand. The net result is prevention of hardening of the arteries and maintenance of healthy bones. Processed foods without fiber lead to accelerated hardening of arteries, heart attacks and strokes. On the other hand when people pay attention to adding fiber from cereal and vegetables into their diet, cardiovascular disease is prevented. hormone replacement Newer anti-aging medicine approaches are useful for both women and men for prevention of heart attacks and strokes. Testosterone in men (thanks to www.healthcentral.com for link) and bioidentical estrogen/progesterone (thanks to www.womensinternational.com for this link) in women release nitric oxide (=NO), which lowers blood pressure and widens arteries. This reduces strokes and heart attacks by 40% in both sexes (Ref. 17). medical problems high blood pressure needs control; high levels of cholesterol, triglycerides or homocysteine need appropriate treatment (eat green-leaved vegetables, they contain NO). vitamins and supplements vitamin C 1000 mg and 400 IU of vitamin E daily, Omega-3-fatty acid 1000 to 2000 mg daily, Co-Q-10 400 mg daily, NEO 40 (newer NO source from hawthorne and beet root) once or twice daily; calcium 500 mg and magnesium 500 mg daily; 5000 IU of vitamin D 3 daily (will help absorb calcium better); vitamin K 2 100 to 120 micrograms per day (see comments under point 10 above). With this I mean to walk briskly 30 to 40 minutes 4 to 5 times per week, better even every day. Even such moderate exercise is effective in reducing heart attack rates and strokes by 50%! Exercise will increase the HDL blood level thus protecting the LDL cholesterol from being oxidized. This prevents or reduces arteriosclerosis. To stop smoking is likely the single most important step in your life to reduce your risk for a heart attack, lung cancer, stroke etc. Use nicotine patches, nicotine gum, self hypnosis cassettes with “stop smoking” suggestions. I don’t care how, but stop smoking. One helpful medication that came out recently is bupropion (brandname: Zyban), an antidepressant, which helps with the craving aspect of smoking. Why am I so adamant about this? Because cigarette smoke has a myriad of chemicals, which are readily absorbed through the lungs directly into the blood stream. These chemicals will increase and oxidize the LDL cholesterol, decrease the protective HDL cholesterol, attack the arterial wall and make the coronary arteries constrict ( this is called the nicotine effect). In short, it leads to premature and severe arteriosclerosis. Apart from this it also leads to many cancers, in fact it causes 40% of all cancer deaths in males and about 20% of all cancer deaths in females. Most North Americans eat 25 to 50% of their daily calorie intake as fat. If this is reduced to 10 to 25% in the daily calorie intake, triglycerides in the blood as well as LDL cholesterol are significantly reduced. The reason the total cholesterol intake matters is that about 50% of the body’s cholesterol comes directly from our diet, the other 50% is manufactured by the liver. Our circulating LDL cholesterol (the “bad” cholesterol) will automatically be reduced, if we cut down on the consumption of meat, poultry and dairy products and if we switch to more fish, soybean, vegetables and grains. Meat and dairy products have hidden fats in them, which are metabolized by the liver into triglycerides, which in turn will circulate in the blood and then get stored as fat around breasts, in the chest wall, the abdomen and abdominal wall, buttocks and thighs. The fat won’t sit still, but gets metabolized (“turned over”), which in turn will elevate the triglyceride blood level. These feed into the fat deposit of the arterial wall, which is one of the hall marks of arteriosclerosis (called “atheromatosis”). When obesity with increased body weight has been established, a particularly dangerous condition, the insulin resistant syndrome (IRS, also known as “metabolic syndrome”) can develop. This has nothing to do with the IRS that collects U.S. Citizens’ tax money. The IRS syndrome is worse: it takes life away by a combination of high LDL cholesterol, high triglycerides, low HDL cholesterol levels and high insulin levels leading to an accelerated arteriosclerosis development with frequent strokes, heart attacks and blockage of arteries to the legs often requiring amputations. By changing the factors mentioned above the IRS syndrome can be reversed and a normal life expectancy can be obtained! The bottom line is that the low fat diet factor can cut heart attacks and strokes into half over two decades or more. But even 1 or 2 years of a low fat diet will reduce the risk significantly. We now know that the health benefits of green leaved vegetables released into our system comes from nitric oxide, which softens and widens arteries and lowers blood pressure (Ref. 17). If you have hypertension (high blood pressure) make sure to see your doctor to control it with adequate medication. Buy your own blood pressure monitoring equipment to be able to know how well your blood pressure is controlled. By doing this you prevent a hemorrhagic stroke, heart disease, kidney disease and help prevent accelerated arteriosclerosis. A minority of people may have a genetic trait such as hypertriglyceridemia or homocysteinuria, which requires other medicines or specific vitamins, which the doctor or cardiologist needs to prescribe. If the other measures mentioned above have not lowered the cholesterol, it may be necessary for you to take one of the “statin” family of medications (CoA reductase inhibitors) to achieve normal LDL blood levels. These medicines, which the doctor will prescribe for you, inhibit a liver enzyme thus lowering the LDL and often at the same time increasing the HDL cholesterol as well, resulting in a lowered arteriosclerotic risk. Weight loss can be achieved fairly easily by a combination of regular exercise, low fat food, avoidance of sweets and reduction of excessive starchy food intake. Often patients who are newly diagnosed with diabetes at age 40 years or more will normalize their diabetes on such a diet, if they were obese at the time of the initial diagnosis. Such a diet, low in fat, low in sugar and starch with an emphasis on vegetables, will slow down the aging process by postponing arteriosclerosis. Self hypnosis cassettes that you listen to daily for some time can also be very effective for weight loss provided you combine this with the other measures mentioned above. Read more about low glycemic, low fat foods (under “nutrition”) and on basic exercises to improve your fitness (under “fitness”) by way of the links below under “Related Page”. The best control of diabetes is usually achieved by insulin injections two or three times a day in combination with home glucosometer readings and three monthly blood tests where the hemoglobin A1C level is determined. Prevention is more powerful than any cure! a) Recently many trials have been published, which convincingly give evidence that vitamin E lowers cholesterol. At least 200 IU or more (typically 400 to 800 IU per day) will reduce LDL cholesterol. Heart attacks and strokes are reduced by 40 to 50%, which is a highly significant finding and just as effective as exercise and the “statin”type cholesterol lowering agents (Ref. 4). In a Japanese study vitamin E was also shown to lower high blood pressure. b) Beta-Carotene, a precursor of Vit. A, has also been shown to reduce heart attacks and strokes, although a few studies could not prove effectiveness. The dose is 20 mg every other day. However, two carrots a day will do the same and in one study it has been shown to cut the risk of stroke in half among men who were at risk of heart disease. These cholesterol lowering phytochemicals are found in red grapes, red wine, broccoli, apples and many other fruits and vegetables. A small glass of red wine per day (less than 4 oz.) 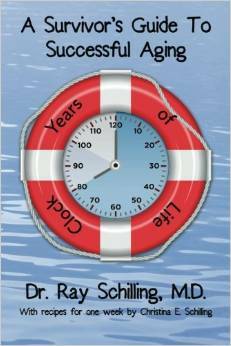 Will prolong life significantly by lowering cholesterol. The key is: low dose, but regular. However, alcoholics should refrain from this approach because this alcohol content could trigger a loss of control. For them the old saying counts (as well for those who do not like red wine):” an apple a day keeps the doctor away…” Yes, we now know that it’s the fiber and the bioflavonoids that does the trick. A Dutch study of elderly men showed that with the regular intake of the equivalent amount of bioflavonoids found in one apple per day, there were 50% less heart attacks in that group of men than in the control group who did not take the bioflavonoids. For centuries it was postulated that garlic would prolong life. Several well controlled studies have shown now that this in fact is true. Garlic lowers blood pressure marginally, lowers LDL cholesterol and has an important anti clotting effect, which in combination will reduce heart attacks and strokes by 40 to 50% when taken regularly. I would caution that the anti hypertensive effect is rather mild and would have to be combined with conventional blood pressure medication for people with high blood pressure. Vitamin B3, B6 and B12 have their place in certain metabolic diseases such as for instance mild cases of homocysteinuria. Vitamin C has been studied extensively and has use as an antioxidant preventing oxidization of LDL cholesterol, but not every study has been conclusive. As a contrast, all studies showed that Vit. E consistently demonstrated powerful antioxidant effects . However, Vit. C has other useful effects as it has been shown to prevent many types of cancers. As mentioned above vitamin D3 together with vitamin K2 and calcium/magnesium will help to prevent heart attacks and strokes as hardening of the arteries is prevented. In a June 2014 study it was noted based on 32 pooled studies with 566,583 men and women over an average of 9 years that mortality was cut by 50% when blood levels were above 30 ng/ml. Other studies recommend a target blood level for vitamin D3 of 50 to 80 ng/ml. A March, 2015 study has found that adding fiber into your diet reduces the risk for heart attacks, cancer, diabetes and respiratory infections significantly. Recently several large studies were published, which investigated women in menopause with or without estrogen replacement. There was a 40 to 50% reduction of heart attacks in women who supplemented with estrogen compared to women who did not supplement. Not every postmenopausal woman should necessarily take estrogen replacement and you should consult your doctor for more details. However, an overview of the literature showed (see Family Practice, Oct.5, 1998) that the benefits outweigh the risks for most postmenopausal women. It was thought that men could not take advantage of this form of therapy as they would change their nature and physical appearance. The Women’s Health Initiative (Ref. 12) has taught physicians a tough lesson: you cannot mess with nature’s hormones or else you create a risk of strokes (41%), heart attacks (29% more), blood clots (twice as many), breast cancer (26% more), colorectal cancer (37% more) and you increase Alzheimer’s disease (76% more often). This was a trial involving over 16,000 postmenopausal women. The truth is that these synthetic estrogen-like and progesterone-like substances that were used are not bio-identical hormones. These synthetic hormones are artificial hormones that are functioning as “xenohormones”. The end result is that physicians create estrogen dominance in these women and together with the progestins (=modified progesterone molecules) this is the reason for the above listed complications (Ref. 13). If, however, the treating physician puts postmenopausal women on bio-identical hormones (bio-identical estrogen and bio-identical progesterone) the postmenopausal women will simply feel younger for longer. The reason for this is that HDL cholesterol is elevated and LDL cholesterol reduced, which effectively postpones atherosclerosis. I mentioned earlier that women through their reproductive years gain a 10 year survival advantage over men. This likely is due to the accumulative estrogen exposure effect from the ovaries. Since the realization that bio-identical hormones can safely be given to postmenopausal women life-long without side-effects, anti-aging researchers think that life can be prolonged a total of 15 to 20 years by giving bio-identical estrogen along with bio-identical progesterone after menopause. The observations of the Women’s Health Initiative (Ref.12) were made with synthetic estrogen replacement hormones and synthetic progestins. These hormone-like substances do not fit into the hormone receptors of the body. The body does not like this and the side-effects listed above take place. There are no side-effects with bioidentical hormones as Suzanne Somers has described it in her book (Ref. 9) and Ref. 10, 11 and 13 also confirm.What’s more, it is possible for men to take advantage of the natural hormone effects, but in the male the main hormone to replace is bio-identical testosterone. Dr. Shippen (Ref. 15, p. 85-88) has described research showing that a lack of testosterone in men leads to increased heart attacks and deaths while replacing testosterone with bio-identical testosterone opens up coronary arteries in high risk men with severe angina. Testosterone does all of the good things in men that estrogen does in women: testosterone lowers fibrinogen (prevention of clots), lowers the bad LDL cholesterol and triglycerides, increases the protective HDL cholesterol, decreases lipoprotein A, lowers blood pressure, decreases insulin output, increases energy and strength and prolongs life. In a Chinese study of 62 elderly males who had severe angina 77% had very noticeable relief from chest pains on testosterone replacement while in the placebo group only 6% were improved. Echocardiography studies documented 68.8% improvement of blood supply to the heart in the testosterone group (Ref. 15, p. 87). A male in andropause also benefits from about 1/4 of the estrogen dosage that a postmenopausal woman would use (dosage determined by saliva tests, see Ref. 13 and 14). Dr. Rimkus in Germany (an obstetrician/gynecologist and bioidentical hormone replacement expert) has shown that even without replacing testosterone, the male can convert bioidentical progesterone into testosterone. He benefits from small amounts of estrogen and his breasts will not grow with these minute estrogen doses. However, a small amount of bio-identical progesterone is usually also required as this will balance the estrogen effects, will help degenerating joints, restore hair growth and improve skin appearance. All of the hormone requirements are based on saliva hormone tests, which reflect the tissue levels closest. Ask your physician for more details. If your physician does not support bio-identical hormone replacement, find an anti-aging physician (Click “Anti-Aging Resources”, then “Find a Doctor” from the drop-down box). For further details read the chapter on health, nutrition and fitness, see the link below under “Related Page”. Here you will get detailed suggestions regarding life style changes for better health. 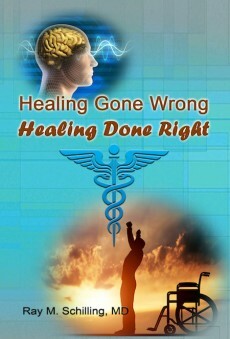 Also below find the link to the page “Anti-aging medicine for women and men”. At a meeting of radiologists in April of 2015 in Toronto, Canada research regarding a correlation of calcifications of breast arteries and calcifications of coronary arteries was reported. This means that women with breast cancer are at a higher risk of developing heart disease and women who have heart disease are at a higher risk of developing breast cancer. 1. M L Kashyap Annals Academy of Medicine,Vol. 26, No.4 (July 1997). 2. LT Mahoney et al. Am J Cardiol. 2001 Sep 1;88(5):509-515. 3. W E Boden Am J Cardiol. 2000 Dec 21;86(12A):19L-22L. 4. M Suzukawa et al. Biofactors 7 (1998): 51-54. IOS Press. 5. Y. Liao et al. American Heart Journal Volume 137 (5),1999: 837-845. 6. RB D’Agostino – Am Heart J – 01-Feb-2000; 139(2 Pt 1): 272-281. 12. Writing Group for the Women’s Health Initiative Investigators: Risks and benefits of estrogen plus progestin in healthy postmenopausal women. Principal results from the Women’s Health Initiative randomized controlled trial. JAMA 2002;288:321-333. 13. 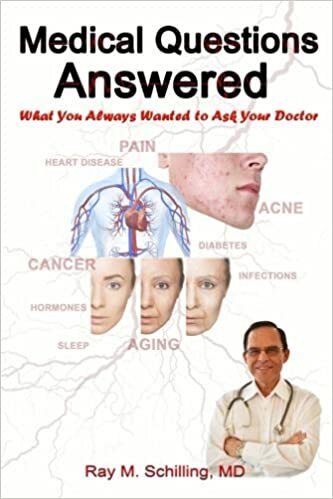 Dr. John R. Lee, David Zava and Virginia Hopkins: “What your doctor may not tell you about breast cancer – How hormone balance can help save your life”, Wellness Central, Hachette Book Group USA, 2005. Page 360 to 374 explains xenohormones. 14. John R. Lee: “Hormone Balance for Men – What your Doctor May Not Tell You About Prostate Health and Natural Hormone Supplementation”, © 2003 by Hormones Etc. 16. 19th Annual World Congress on Anti-Aging and Aesthetic Medicine in Las Vegas (December 8-10, 2011) where Dr. Thierry Hertoghe and Dr. Ronald Rothenberg presented compelling evidence of the life saving effects nature identical hormones can have. Much evidence from several studies was presented showing the benefits regarding bio-identical hormones. 17. Nathan S. Bryan, PHD and Janet Zand, OMD: “The nitric oxide (NO) solution. How to boost the body’s miracle molecule to prevent and reverse chronic disease”. Neogenis, published 2010. 18. William Faloon: “Potential dangesrs of calcium supplements”. Life extension, Aug. 2012, p. 7-14. 19. S. A. Chako, Y. Song, L. Nathan et al. : “Relations of dietary magnesium intake to biomarkers of inflammation and endothelial dysfunction in an ethnically diverse cohort of postmenopausal women”. Diabetes Care 2010, Feb; 33 (2): 304-310. 20. M.L. Chatrou, C.P. Reutelingsperger and L.J. Schurgers: “Role of vitamin K-dependent proteins in the arterial vessel wall”. Haemostaseologie, Nov. 2011; 31 (4): 251-257. 21. http://www.ncbi.nlm.nih.gov/pubmed/21407165 : Dzugan SA, Rozakis GW, Dzugan KS, Emhof L, Dzugan SS, Xydas C, Michaelides C, Chene J, Medvedovsky M.: “Correction of steroidopenia as a new method of hypercholesterolemia treatment.” Neuro Endocrinol Lett. 2011;32(1):77-81.